Frequent rain makes the phone ring here at the office. Apples have been slated for a bumper year. However, with all this rain, many (not all) apple trees are experiencing leaf & fruit fungal issues as spores fester. Many of the apple trees I hear about and see are experiencing early leaf & fruit drop. We’ll see. 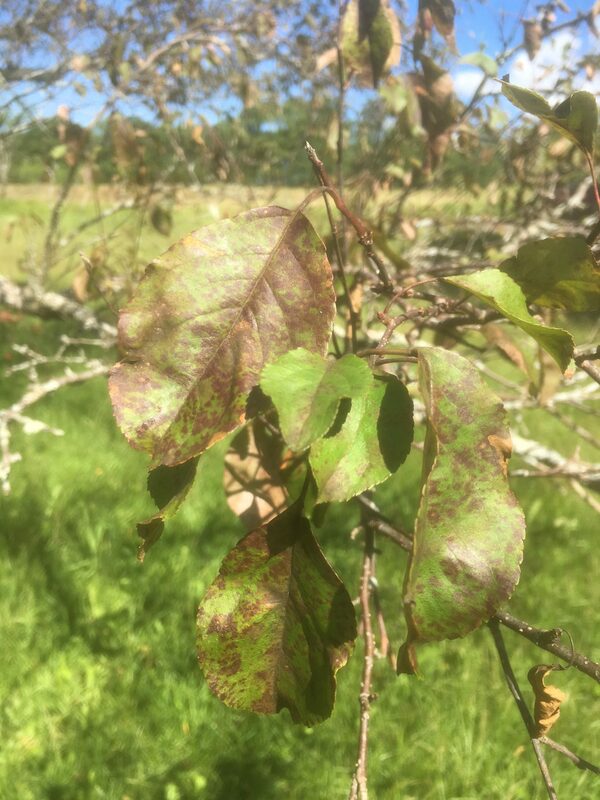 Tags: Apples, Catskill Forest Association, Catskill Mountains, diseases, fungi. apple scab Categories: What's New?